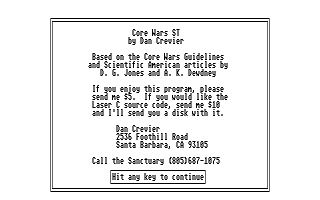 Core Wars ST is an implementation of the program A. K.
you run up to 3 programs at once. Jump         JMP       A          Transfer control to address A.
greater than                      address B are greater than 0.
zero                               B is not zero. the new MICE, so it now has 2 running. A1, B1, A2, B2, A3, B1, A1, B2, etc. 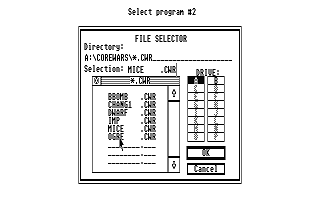 programs to run. 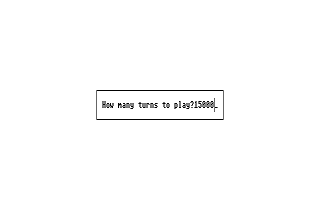 You can the programs run up to 999,999 turns. 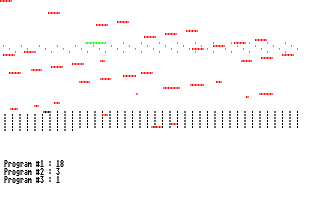 and will go down when a program tries to execute a DAT statement. address a program executes or moves something to.